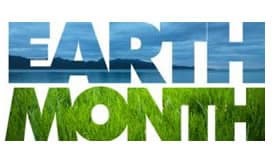 April is Earth Month at the University of Rhode Island where events and activities are taking place in recognition of Earth Day, celebrated internationally on Apr. 22. The URI Office of Sustainability, Student Action for Sustainability, and other departments, offices and student groups are hosting a variety of events designed to bring attention to the need to protect the environment. Wednesday, Apr. 10 at 5:30 p.m. – URI, Edwards Auditorium, 64 Upper College Rd. Surfing for Change – Professional surfer and activist Kyle Thiermann, who travels the world examining this massive dilemma posed by marine debris, will discuss his ideas for how to address the problem. Hosted by the URI Office of Sustainability. Thursday, Apr. 18 at 4 p.m. – Center for Biotechnology and Life Sciences, Room 10, 120 Flagg Rd. URI journalism professor and National Geographic photographer Jason Jaacks will share tales and astounding images of his travels documenting nature and issues of sustainability in a presentation entitled “Life on the Wild Side.” Hosted by the URI Office of Sustainability. Monday, April 22, 10 a.m. to 3 p.m. – URI Quadrangle (in case of rain, in the Memorial Union). The Quad will be the place to go on Earth Day for information and inspiration. URI student groups and area environmental organizations will be on-hand to share news, views and activities on environmental sustainability topics. Hosted by Student Action for Sustainability. Also on the Quad on Apr. 22 at noon, Plogging. Come for a jog or walk on campus while helping to beautify the grounds in a campus clean-up. Hosted by URI Campus Recreation, Public Safety and Club Sports. Tuesday, Apr. 23 at 5 p.m. – Edwards Auditorium, 64 Upper College Rd. The program will be followed by a book signing event. Sponsored by the URI Office of Sustainability with support from the URI Office of the Provost, URI College of the Environment and Life Sciences, URI Master Gardener Program, URI Metcalf Institute for Marine and Environmental Reporting, and The Greene School in West Greenwich.